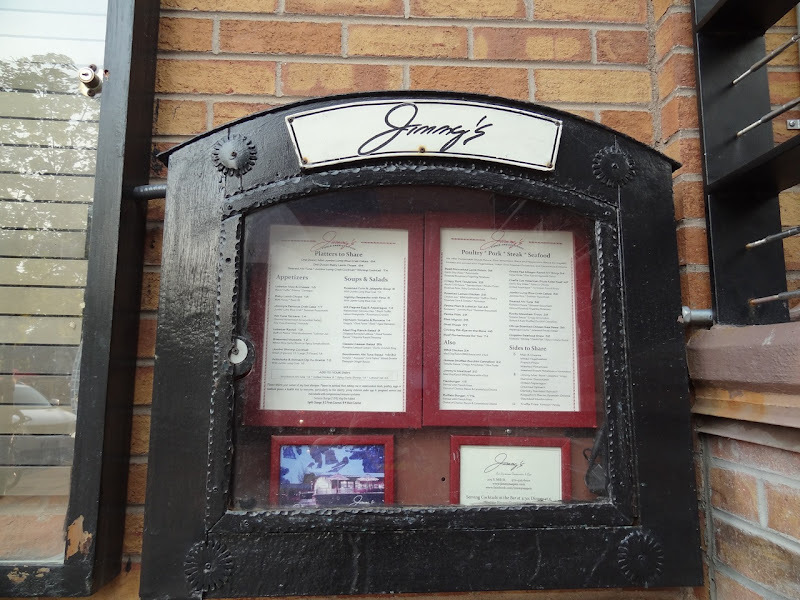 Jimmy’s is one of our favorite restaurants in Aspen. Therefore, we thought it fitting to eat here on our final day before heading back to Dallas. 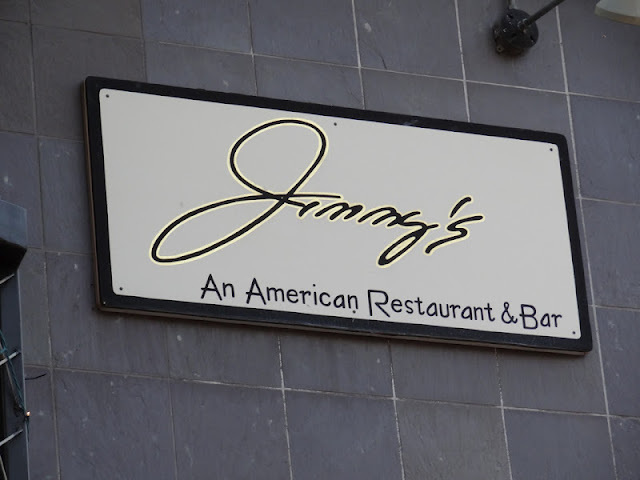 According to their website, “Jimmy’s has been Aspen’s neighborhood bar, restaurant and gathering place” since 1997. 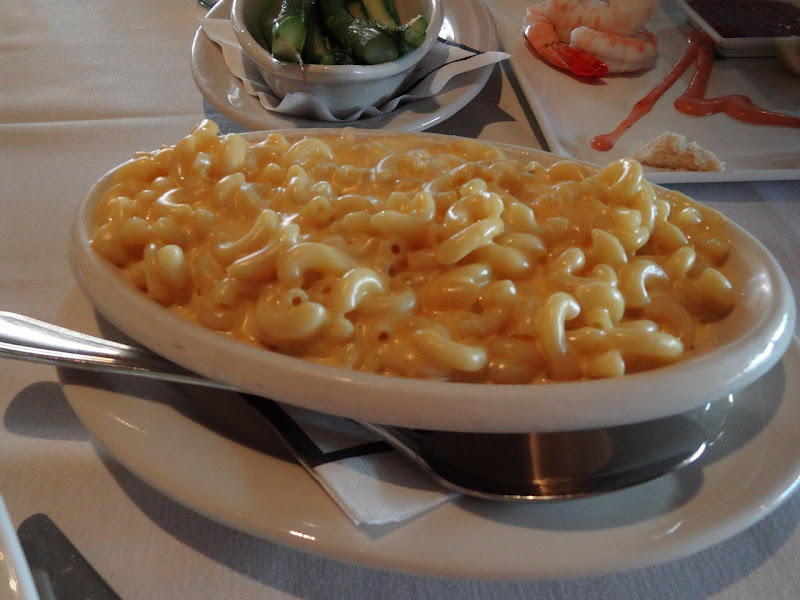 American food characterizes the menu with classics such as steaks and seafood to comforts like meatloaf and mac and cheese. 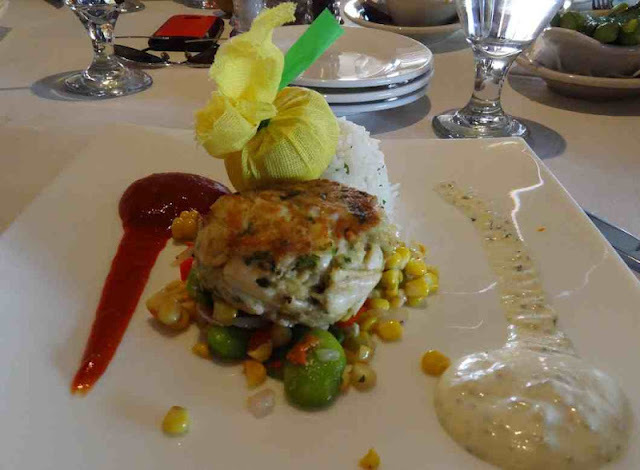 The atmosphere is perfect for all occasions….special dinners, casual lunches, lively sporting events, you name it and staff is there to entertain. The food was excellent and did not disappoint. 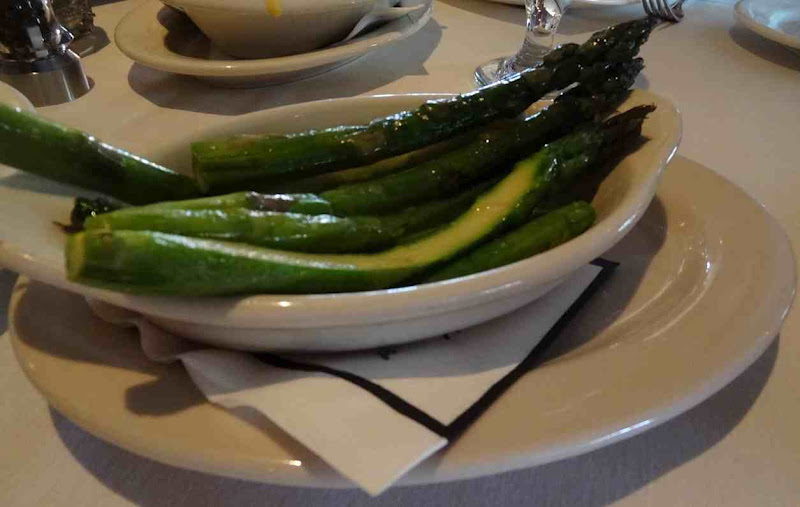 Filing, fancy, and flavorful, we’ll definitely be back next time we’re in Aspen! 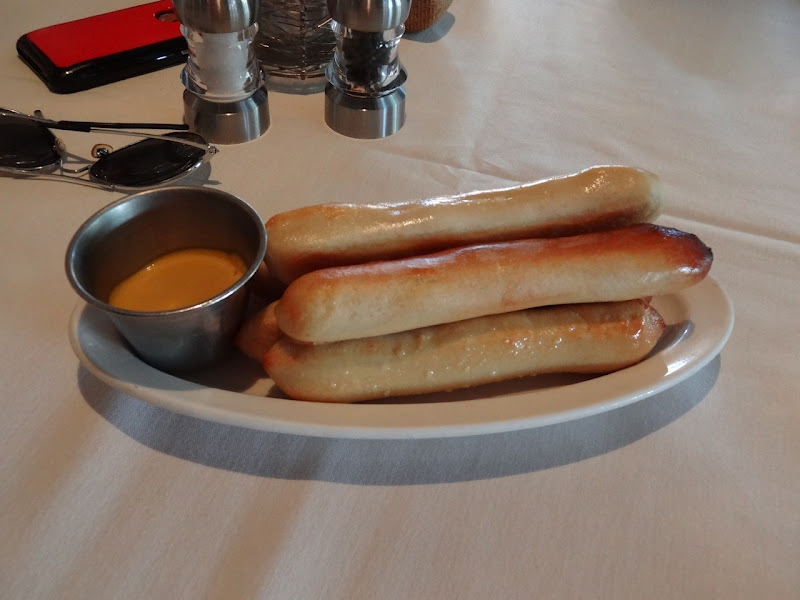 Each table gets complimentary soft pretzel sticks and mustard. Jimmy’s classic mac and cheese. For the recipe, click here. 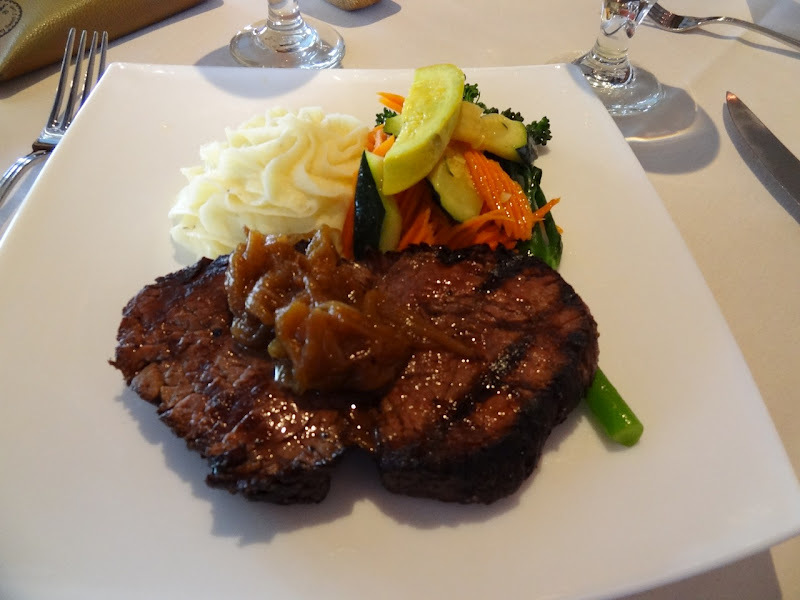 Dad ordered the Petite Filet which came with mashed potatoes and seasonal vegetables. Mom and I split the Jumbo Lump Blue Crab cakes served with jasmine rice and summer succotash. Click here for the recipe. I didn’t get a picture, but my sister ordered the shrimp cocktail, which was very fresh and delicious. Matt ordered the BBQ Chicken with Mad Dog Ranch BBQ Sauce with a kick. It was also served with with a side of seasonal vegetables. After 5 gloriously relaxing days in Aspen, now it’s time to return to the hot and humid weather back in Dallas. Colorado is definitely one of the most beautiful places on this earth, and I’m always sad to leave. 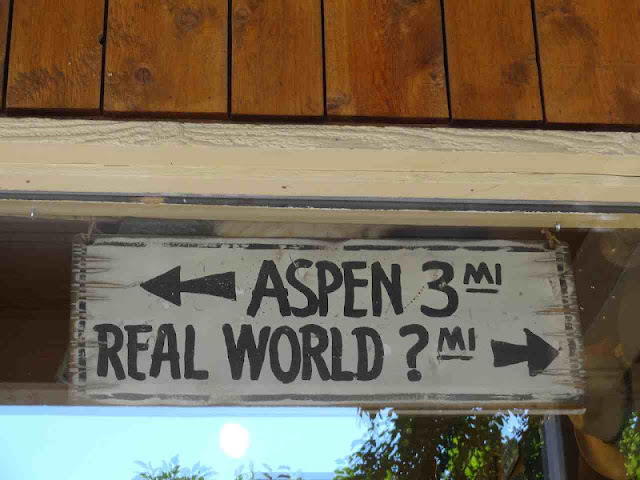 With that said, I think this sign (below) is fitting. I love this sign! It is so true.